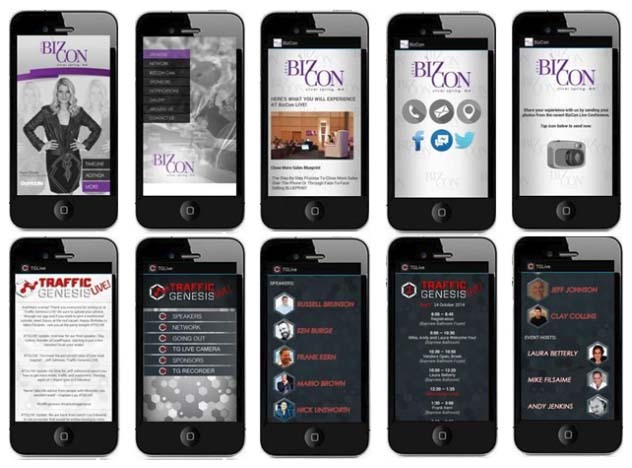 Custom Built Mobile Apps - Hudson Enterprises, Inc.
Hudson Enterprises, Inc., enables anyone to have a beautiful mobile app without any programming knowledge needed—all at a fraction of the cost you would expect to pay. Your customers are no different! Smart business owners understand the power and importance of mobile marketing to their bottom line. They use mobile apps to connect with customers, share relevant news, offer great deals, increase foot traffic, take reservations, and boost their revenues. Whether they deliver a service like real estate, sell products in a store, or run a successful restaurant, they know that having a mobile app is one of the most effective ways to reach customers on the go. As a smart marketer, you know you need a mobile app to compete. You just don’t want to pay thousands of dollars for the development, programming, and hosting costs associated with it. At Hudson Enterprises, Inc., we enable anyone to have a beautiful mobile app without any programming knowledge needed—all at a fraction of the cost you would expect to pay. In just a few days, your app can be up and running on the iPhones, iPads, and Android devices of your customers, prospects, and all of their friends. And you can start bringing in business like you never imagined. There’s never been an easier way to take your business to the next level. Make your customers feel special by offering discounts, coupons, and promotions just for using your app. Send push notifications! Deliver instant messages to your customers’ mobile phones whenever you wish. While only 4% to 10% of emails get opened, push notifications get read 97% of the time. Let customers quickly tell all of their friends about you using the built-in sharing capabilities of Facebook, Twitter, LinkedIn, your blog, SMS, and Email. Gather names and email addresses directly inside your app and easily export them into your favorite email marketing campaign service. Provide up-to-date information about all of your business events, sales, and promotions with an in-app events calendar that anyone can access anytime. We are still in the early years of the mobile app. Having one adds serious credibility to your business. Fill your app with information about your business, service offerings, product samples, menus, and more. There’s a tab for just about everything you want them to know. Make it simple for customers to reach you using one touch calling, email, a website link, and GPS directions to to your business—all from inside your app. Allow customers to leave feedback on your fan wall, share photos, make restaurant reservations, schedule appointments with you, and send comments in a variety of ways. Track your success. Use robust analytics to track daily, weekly, and monthly downloads of your app. Just about everyone understands and knows that SEO is essential to long term success for websites. 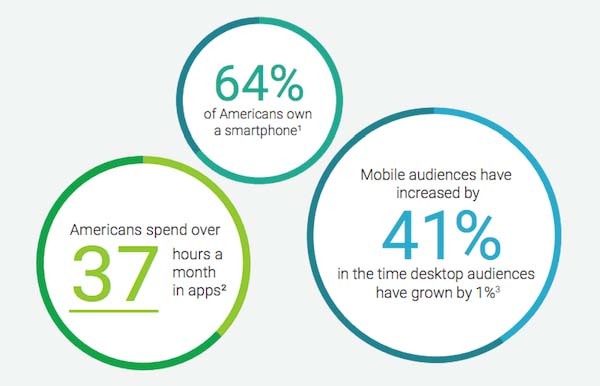 Mobile Apps are even more important, in some ways, than SEO if you’re trying to reach a mobile audience. And if you’re not trying to reach out to the mobile audience, you’re simply missing more than half of all Internet traffic. Why would you opt to do that? Makes no sense. The average iOS and Android user only downloads three to five apps per month. And of those, 26% are opened only once and never used again, and another 48% are opened 10 times or less. So are you thinking about just “getting a mobile app”, or do you want to build a mobile community? When operating in the confined space of a mobile screen, every detail counts. In the App store there is really no blanket rule of thumb when it comes to optimization. Apps are all different. App stores are all different. And most frustratingly, app store algorithms are closely guarded secrets by Apple, Google, etc. So how do you make sure your App will be found in the App store, how will you get people to download the app, and more importantly, how will you get users to USE your app, not just download it? We answer all of these questions for you by default when we design your business app for you. We make it user friendly and deliver to the end-user what they want, which is why they download your App to begin with. You get the right formula of keywords, description, App name, screenshots, and reviews to motivate your target users to download your App. 2. Is our app improving our ability to serve customers? If you cannot answer yes, it may be time to contact us now! how we can assist you with a Custom Built App for your business.